The draft is right around the corner and the Dolphins are without a quarterback of the future but if you are looking for one in this draft, you are going to be disappointed because the guys I believe Miami may be interested in should/will be gone by their pick at thirteen. 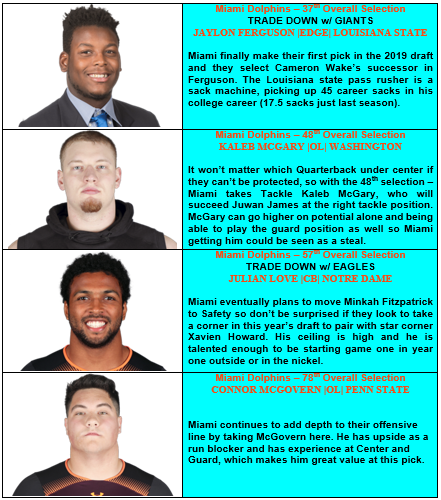 Instead, look for Miami to trade a lot during the draft weekend to gain capital for the next year’s draft to have the ammunition to move up to get their guy in 2020. In this mock, I have them moving back not once but twice in my first mock of the draft season, picking up valuable picks next season and stocking piling draft picks this year as well to help fill/build the roster. 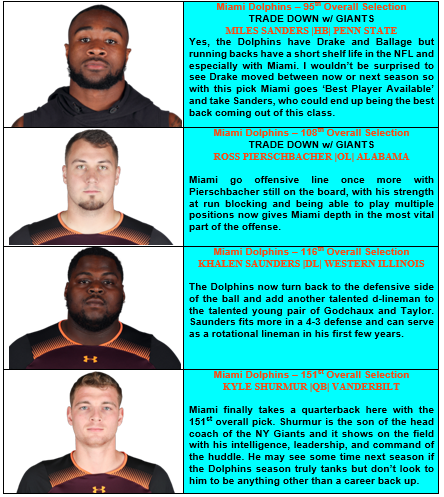 This is the only the first of a few mocks I will do and most likely will change as more news/rumors/ and updates come from the smokescreens billowing out of Dolphins headquarters until draft day. 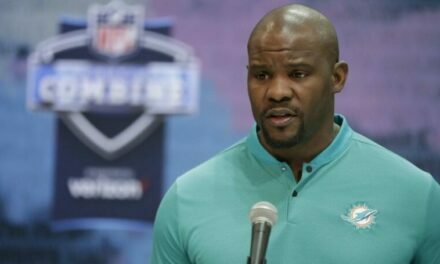 Below my Dolphins mock you will find my mock draft for all 32 teams as well, sit back and enjoy… or not. TRADE – RAIDERS ACQUIRE 11TH, 42TH, AND 110TH OVERALL SELECTION FROM BENGALS WHO ACQUIRED THE 4TH PICK. TRADE – LIONS ACQUIRE 14TH, 79TH OVERALL SELECTIONS AND 2020 2ND ROUND PICK FROM FALCONS WHO ACQUIRED THE 8TH PICK. TRADE – DOLPHINS ACQUIRE 25TH, 57TH OVERALL SELECTIONS AND 2020 1ST ROUND PICK FROM EAGLES WHO ACQUIRED THE 13TH PICK. TRADE – DOLPHINS ACQUIRE 37TH, 95TH, AND 108TH OVERALL SELECTIONS FROM GIANTS WHO ACQUIRED THE 25TH PICK. PreviousShould the Dolphins Target a Quarterback in 2019 or 2020? You didn’t address Nose Tackle. To run any 3 / 4 you need a nose tackle. Thats not a good trade imo because its probably going to be closer to the 2nd round next season. Also if eagles are jumping that high they got a stud in mind, why wouldn’t we charge them more ? Bobby, this is perfect! You say this is your first one? Don’t change a thing. You got Ferguson a small school DE with a nasty edge. 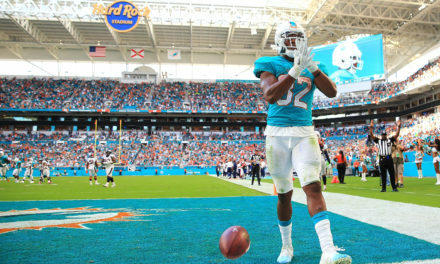 That’s what I want for the Dolphins a team that can strike fear in opposing offenses on Sundays. Some quality OLmen including my Bama boy. #RollTide. You got Miles Sanders who I am really high on in the draft. You got Shurmur who nobody was really talking about this year but he played well against the Fighting Irish. Don’t change a thing. This is great! You even threw in my favorite “named player” because I just like saying Shedrick Redwine and I thought Cody Thompson went pro last year but I’m high on him too.